When selecting a self storage facility, it can sometimes be overwhelming with so many different facilities to choose from. Fortunately, this number can be cut down substantially when you know what to look for. In particular, it’s important for storage facilities to have sufficient lighting, a secured gate, a sense of professionalism, and be clean. These factors are an indication of the overall quality of the facility. If you find a facility lacking in any of these, consider looking elsewhere. After all, this is where you will be keeping your belongings. If you first visit a storage facility during the day, it may be easy to overlook lighting. However, many storage facilities don’t feature adequate lighting 24 hours a day in both the indoor and outdoor storage areas. If the facility offers 24 hour access, lighting is especially important in regard to safety concerns. Well-lit areas also provide the best views for cameras. 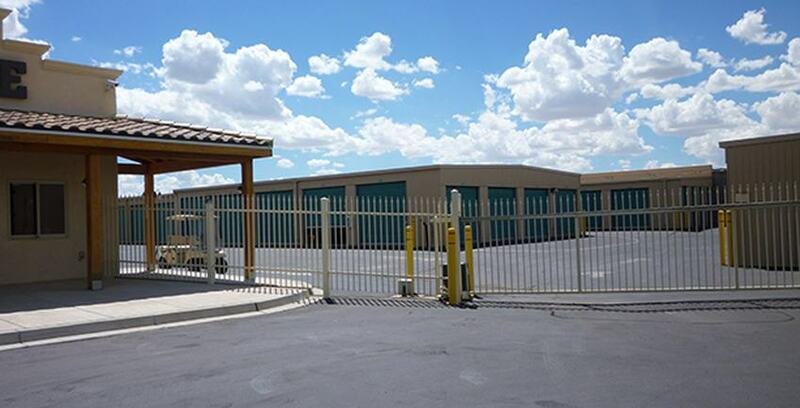 Many storage facilities today are gated, though not all gates are made equal. The best gates are at least 40 feet from the road, therefore preventing a line of cars from being pushed into the street. Also, the gate should only allow one car through at a time. Ensure that the property is entirely fenced. Look for a security camera near the gate; this is the most important camera for a facility to have, as it monitors who enters and exits the premises. Most facilities with electronic gates will issue you a unique pin that will allow you to pass through the gate. Be sure to ask what the procedure is if you were to forget your pin. This is especially important for facilities in which the office is located inside the gated area. Look for professionalism in the staff and management. Do they seem honest and reliable? The quality of the staff and management is often a direct reflection of the facility as a whole. Don’t hesitate to speak to the manager. Getting to know him or her can be a great exercise in increasing your comfort level with the storage facility. With people moving their inventory in and out on a daily basis, it’s easy for a storage facility to become somewhat messy. This is not an excuse for a dirty facility. Look for facilities that are swept clean, with no signs of belongings left behind. A pristine facility is a sign of management’s and employees’ pride in the facility and a tendency for a service culture. It’s crucial to shop around when looking for self storage. You may find a unit that is inexpensive, but also dirty. If a facility chooses not to clean the building, other things may be getting neglected as well. Comparison shopping is worth your time to protect your belongings.